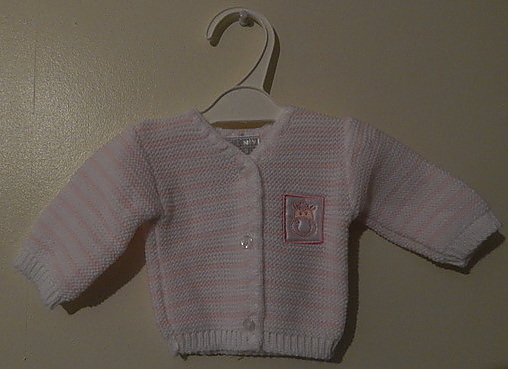 tiny baby clothes in pink. cute cosy Babies cardigans You'll be thrilled to know we stock small fitting cardigans that's not too overpowering in size .She will feel snug as a bug in a rug now that the cooler weather has started to arrive. She will snooze of to sleep easily and you will be assured she feels warm enough when worn over a vest,baby grow and settled for a nap. milly moo moo cow motif decorates the front.